Scientists and engineers must use methods of probability to predict the outcome of experiments, extrapolate results from a small case to a larger one, and design systems that will perform optimally when the exact characteristics of the inputs are unknown. While many engineering books dedicated to the advanced aspects of random processes and systems include background information on probability, an introductory text devoted specifically to probability and with engineering applications is long overdue. Probability for Electrical and Computer Engineers provides an introduction to probability and random variables. 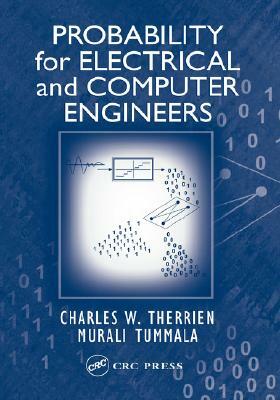 Written in a clear and concise style that makes the topic interesting and relevant for electrical and computer engineering students, the text also features applications and examples useful to anyone involved in other branches of engineering or physical sciences. Chapters focus on the probability model, random variables and transformations, inequalities and limit theorems, random processes, and basic combinatorics. These topics are reinforced with computer projects available on the CRC Press Web site. This unique book enhances the understanding of probability by introducing engineering applications and examples at the earliest opportunity, as well as throughout the text. Electrical and computer engineers seeking solutions to practical problems will find it a valuable resource in the design of communication systems, control systems, military or medical sensing or monitoring systems, and computer networks.